Blood samples have consistently proven to be a key source of genetic material for a wide variety of diagnostic or research purposes. In DNA and RNA Profiling in Human Blood: Methods and Protocols, leading international experts contribute both established and recently developed protocols for complex and high-throughput DNA and RNA profiling. Divided into two thorough sections, the volume concentrates on DNA profiling for blood cell antigens through methods on high-throughput multiplex approaches and SNP typing, along with RNA profiling in blood cells addressing certain blood cell types such as platelets, reticulocytes, and megakaryocytes. Written in the highly successful Methods in Molecular Biology™ series format, all of the chapters include brief introductions on the subject, lists of the necessary materials and reagents, step-by-step, readily reproducible laboratory protocols, as well as the Notes section which highlights tips on troubleshooting and avoiding known pitfalls. 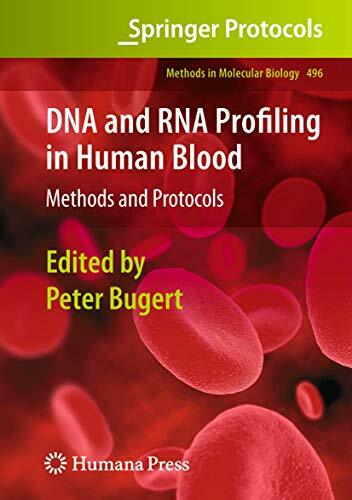 Authoritative and cutting-edge, DNA and RNA Profiling in Human Blood: Methods and Protocols is an ideal guide to the molecular profiling approaches that have opened up this broad field of research and have shown great promise in the further identifying of disease markers in blood.